(NaturalNews) The most definitive proof yet that the Affordable Care Act was nothing more than a ruse to enable the federal government to take over one-sixth of the U.S. economy -- by lording over Americans' healthcare -- has just emerged in the form of frank admissions by the law's primary architect, despite his and a top university's efforts to keep it all a secret. As reported by The Daily Signal, the architect -- Prof. Jonathan Gruber -- admitted that a "lack of transparency" helped the Obama Administration and congressional Democrats pass the onerous law that become known as Obamacare. The conservative group American Commitment posted Gruber's remarks, which were reportedly made at an Oct. 17, 2013, event, on YouTube. "Lack of transparency is a huge political advantage," says the MIT economist who helped write Obamacare. "And basically, call it the stupidity of the American voter or whatever, but basically that was really, really critical for the thing to pass." The video was initially posted on the University of Pennsylvania's website, according to talk host Mark Levin -- who covered the story on his Nov. 10 broadcast -- but the institution inexplicably took it down recently. Since then, thanks to massive outrage, the institution has re-posted it. In explaining the law's passage -- and the manner in which it was passed -- Gruber, in the video, said, "just... you can't do it, politically. You just literally can not do it. Okay? Transparent financing? [unintelligible]... transparent spending. I mean, this bill was written in a tortured way to make sure CBO [Congressional Budget Office] did not score the mandate as taxes. If CBO scores the mandate as taxes, the bill dies. Okay? So it's written to do that [to be purposely confusing and obfuscating]." If you recall, for months before Obamacare's passage, the president and his political allies insisted that the individual mandate -- which forced Americans, for the first time in our history, to buy a product or service -- was not a tax. In one of the earliest interviews Obama did on his health "reform" proposal, with ABC News' George Stephanopoulos, the president was adamant that the ACA was not a tax (see it here). Then, when Obamacare reached the U.S. Supreme Court, Chief Justice John Roberts literally rewrote the individual mandate statute to make it a tax, just like the law's creator wanted it to be (and knew that it was) all along. There's more. Gruber also noted that the law's language had to hide the fact that younger Americans were going to be forced to pay for older, sicker Americans, through higher premiums (even though younger people -- many of whom are still paying on expensive school loans and are trying to get started in life -- can least afford the additional costs and burden). "In terms of risk-rated subsidies, if you had a law which said healthy people are gonna pay in -- if you made it explicit that healthy people are going to pay in and sick people get money, it would not have passed," Gruber says in the video. "Lack of transparency is a huge political advantage," he continued. "And basically -- call it the stupidity of the American voter or whatever -- but basically, [obfuscation] was really, really critical to get that thing to pass. And, you know, it's the second-best argument. Look, I wish... we could make it all transparent, but I would rather have this law than not." -- Lie No. 1: "If you like you plan, you can keep your plan." Only if your plan meets Obamacare's mandatory coverage requirements. If not -- and most don't -- then no, you can't "keep your plan." -- Lie No. 2: "If you like your doctor, you can keep your doctor." Only if your doctor decides to participate in an Obamacare exchange; if not, then no, you can't keep your doctor (and hundreds of thousands have announced that, no, they won't be participating, because Obamacare forces them to take on burdensome costs that many cannot afford. -- Lie No. 3: "The cost of your plan will decrease by $2,500 a year." False; all plans are rising in cost -- at least, for tens of millions of Americans who won't have their coverage subsidized by taxpayers. For everyone else, huge deductibles ($3,000 - $6,000 a year) wipe out any "savings." -- Lie No. 4: "The ACA will be fully paid for." Wrong; the CBO wasn't allowed to properly "score" the law, so it is still unclear just how much taxpayers will be on the hook. 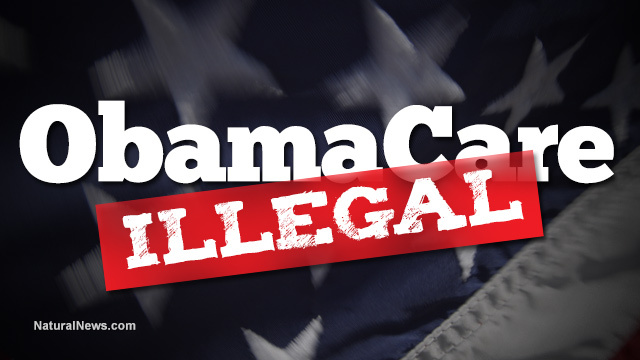 There is no better example of duping the American public in the history of the country than Obamacare. As Levin noted on his program, Washington ought to feel fortunate that Americans are as tolerant of corruption as they are.